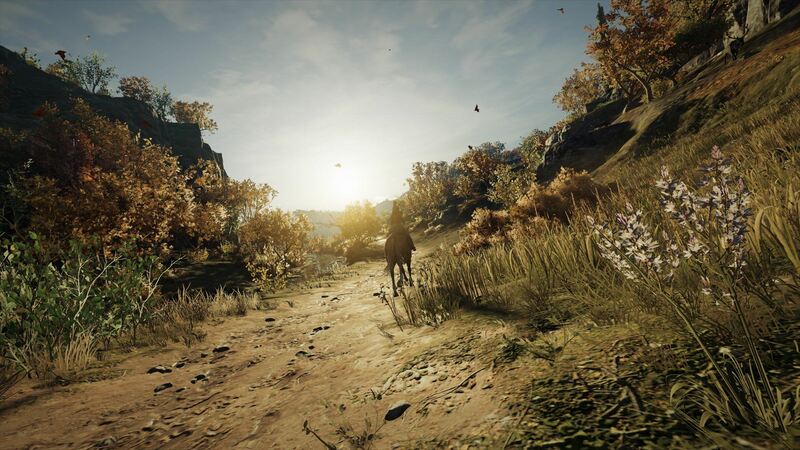 About fifteen hours into Assassin’s Creed Odyssey I met the fabled philosopher Socrates who, during one of our many conversations together, told me that “Every action has its pleasures and its price” – a fitting statement for the ethos behind Ubisoft’s attempts to move the Assassin’s Creed franchise into new directions. 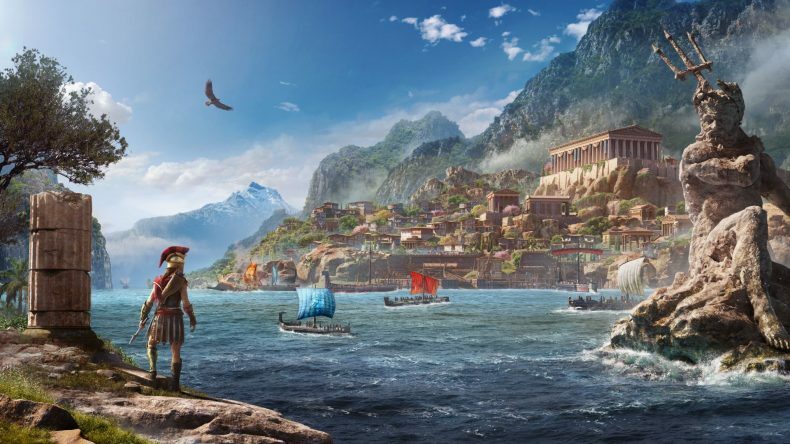 Leaning heavily into the RPG-lite elements introduced in last year’s Origins, Odyssey is a sprawling adventure spanning much of ancient Greece with branching dialogue choices and decisions that impact the world in some way. You play as either Kassandra or Alexios: one of the grandchildren of the legendary hero of Sparta, Leonidas. Hailing from such a grand familial legacy you lose everything as a young child and grow up on the island of Kefalonia to become a misthios; a mercenary for hire. Set during the Peloponnesian conflict that raged across much of Greece, Odyssey sees you travel across many of the city-states that made up ancient Greece carrying out missions for drachma and trying to uncover the mysteries of your tragic childhood. Over the course of well over 40 hours of the main campaign there is plenty to keep you distracted, from countless side missions that range from quick fetch quests, to more involved story lines that have lasting impact, be that the outbreak of a blood fever that decimates a community to an abrupt ending, or a relationship with a former lover. The world is as huge and beautiful as you would expect. It doesn’t quite have the same level of visual variation that Origins benefited from with its vast swathes of desert next to lush areas around the river Nile and the enduring mystery of the pyramids, but there is plenty to catch your eye – from the white sandy beaches to the tree covered hills and mountains of the Pindus range, as well as the turquoise and emerald Ionian and Aegean seas. So enamoured with the world that it has created, Ubisoft even allows you to play in two different modes – Exploration and Guided. The latter handily places quest and location markers on the map for you to follow, whereas Exploration mode demands that you pay a little more attention to the landscape to locate your quest objectives. Vague locations and landmarks are given to you; the rest you will have to figure out for yourself by exploring and using your hawk, Ikaros. This practical orienteering is further compounded with a vast array of optional environmental puzzles that you pick up throughout your travels, which upon successful completion provide you with permanent stat boosts that improve things such as your critical hit chance, or your ability to use poisons effectively. I chose to play as Kassandra, significant as this is the first time a mainline Assassin’s Creed game features a female lead. I am pleased that I did. She is a capable and believable figure, filled with quiet fury and a sense of justice. She is a mercenary for hire, but is still capable of empathy and mercy, and often you are given the choice to change things through dialogue rather than action. She’s also pretty funny… and horny! Romance is now an option in Odyssey, but don’t go in expecting grand love scenes like those of The Witcher or awkward romances familiar to those of the Dragon Age or Mass Effect series, what you will get it is a series of flirty lines and then a fade to black cut scene. Don’t get me wrong I am not mad keen to see pixelated bodies bumping uglies, rather the “romance”, like much of the decision making designed to affect the world, feels little more than a footnote. It is disappointing, but certainly an interesting step for Ubisoft to take and one I hope to see expanded in future titles. 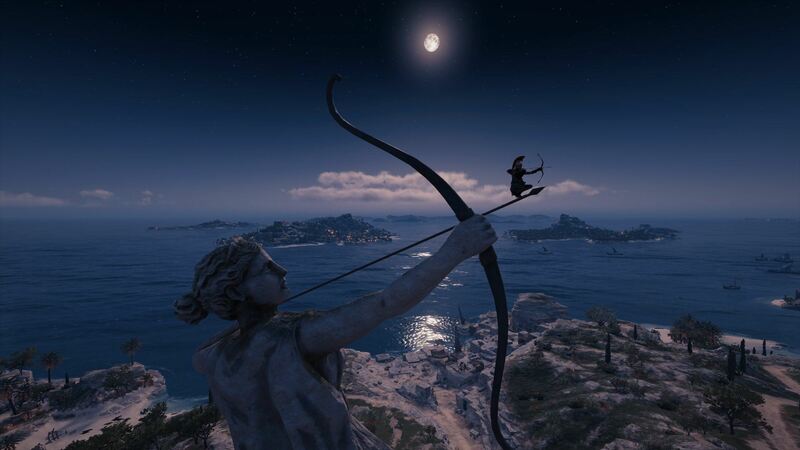 Odyssey provides Kassandra with some freedom and agency to pursue other ambitions other than solving the mystery of her parentage. As you play you can loot items and assassinate indiscriminately should you wish, but beware as you will start to attract the attention of a location’s dignitary who will place a bounty on your head. Once this occurs you are relentlessly hunted throughout the lands of Odyssey by a powerful enemy until you either kill them or remain crime free for an extended period of time. Killing a mercenary starts a new challenge for you to work towards – a seemingly never ending challenge of powerful NPC characters that you can take on until you move through the ranks to become the number one. There are nine tiers for you to climb through, with each successful movement through the tiers granting you with benefits like reduced inventory costs at the local merchants as well as personal stat boosts. And if that still isn’t enough to keep you distracted there is also the war that is raging on in the background. 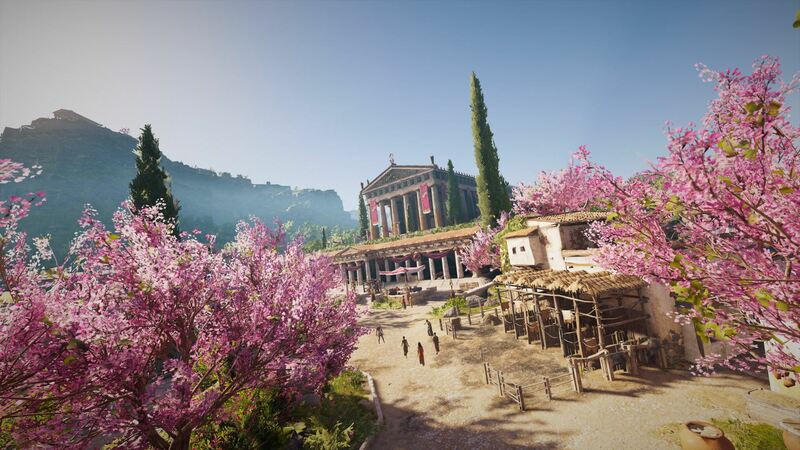 Arriving at a new region in the world will provide you with information regarding which of the two factions between Athens and Sparta that territory is currently under the influence of. If you want to turn the tide of the war in this particular area you can undertake tasks to weaken the existing leadership through pillaging forts for the Nations Chests, burning war supplies and killing key targets of the leadership. Do enough to weaken the nation and a territorial battle will become available. As a mercenary you can then pledge your support for either faction, and help them win the battle and install new leadership in the area. Of the two, Mercenaries is more engaging as the faction battles feel a little pointless after a while. Several times I liberated an area from Athenian control and helped install a Spartan governor to then find later on that I am working again in that area to reduce Spartan influence. It feels a little grindy and never-ending, though I do wonder if you can affect the overall outcome of the war and actually lead the Athenians to victory, rather than the Spartans. 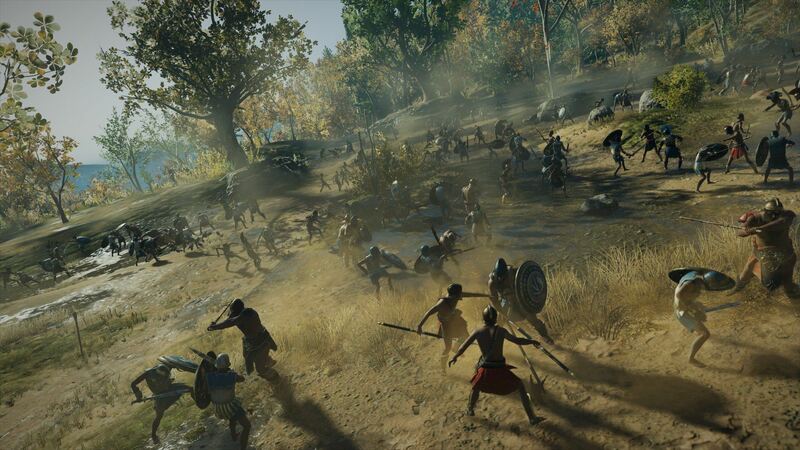 Combat is similar to that from Origins, but it seems that you can build Kassandra’s skills in a way that fits much better into the traditional style of a role playing game. The skill tree is quite small with the ability to pump your points into three broad classes: Warrior, Hunter, and Assassin. Each have their benefits and you will want to ensure a reasonably broad spread across all three as you won’t always be able to sneak about performing takedowns and will have to fight directly. On a one-to-one basis the combat is pretty effective, forcing you to take your time with more difficult enemies, but once you get surrounded by enemies it feels a lot clumsier with your warrior abilities mapped to a radial menu triggered by holding L1, and your hunter abilities to L2. Caught like that, surrounded by enemies, it is often recommended that you retire to recuperate health. Each activity you do in the world can provide you with loot, while killing enemies, opening chests, and completing tasks will give you gear that you can equip. This gear can be upgraded at Blacksmiths, but new to Odyssey are engravings. These can be applied to weapons and armour to give them unique stat changes. Lower tier gear only has one slot to apply an engraving to, rare items slightly more and legendary items even more so. The effect of which is to make your gear truly unique to your experience. You also have resources that you will need to gather throughout the world or via the breaking down of gear. These resources can then be applied to upgrade gear or your ship, Adrestia. Odyssey feels like a world of real action with seemingly unscripted events happening all the time. While I was scouting a military base a bear wandered too close by and ending up attacking the soldiers I was marking via Ikaros, making my eventual attack on the base that much easier. On another mission I was hunting a legendary beast while operating under a two star bounty. I was battling the beast when the two mercenaries that were after me found me. One was my level, the other was a level above me, but rather than focusing on me first they went for the more prominent danger of the animal. I managed to hide and watched them fight it for well over five minutes until they eventually killed it. They looked for me for a little while, but as I was well hidden they eventually wandered off leaving me to collect the pelt of the dead animal and return it to the quest giver. Stuff like this doesn’t happen all the time in Odyssey, but it does enough to give the game a feeling of unpredictability that makes it really interesting. Assassin’s Creed Odyssey is a huge, ambitious game. In the early stages it feels like it doesn’t do enough to distinguish itself significantly enough from Origins, but as the story progresses and new activities and goals start to appear, the feeling that Odyssey is the start of a new, exciting direction for the franchise can’t be understated. Combat changes, an open world to explore, and a movement to RPG-style play started in Origins, and has been expanded upon here with a feeling that as you progress through the world you are impacting it in some way. There is still some needless level gating of areas that require a process of grinding XP to reach the required level, but each of the side missions are interesting and thoughtful, from Socrates sending you on missions that have you questioning the value of free speech, or whether one life is intrinsically more valuable than another life, to other missions that have you pondering whether the death of one person is justified in the pursuit of the greater good. One thing is for sure, Assassin’s Creed as a franchise is in a very exciting place at the moment. All the screenshots in the game were taken by our reviewer. Go follow her instagram for more fantastic game screenshots from photo modes!